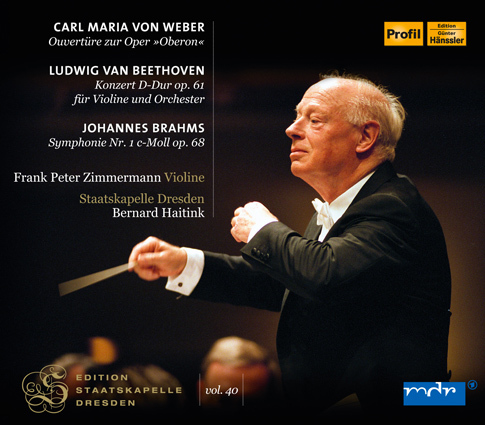 The works on the two CDs of this volume were performed in the Dresden Staatskapelle’s second symphony concert of the 2002/2003 season on September 29 and 30 and October 2, 2002. It was Bernard Haitink’s first subscription concert as Principal Conductor of the orchestra, after he had spontaneously declared his willingness to take over this position and support the Staatskapelle in the difficult situation that had arisen following the sudden death of Giuseppe Sinopoli the previous year. It still seems a stroke of luck for Dresden, and in particular for its orchestra, that it could find a personality of such international standing who had a deep understanding both of the Staatskapelle’s great tradition and of its special character and thus was uniquely qualified to maintain and enhance its high artistic level, its individual sound and its worldwide reputation. Orchestra and conductor had known each other since 1989 from recordings and concerts at home and abroad. This then was the beginning of a sustained, if all too short, period of continuous work together, which wonderfully met the highest expectations “at home” and on tour in Europe and the Far East. 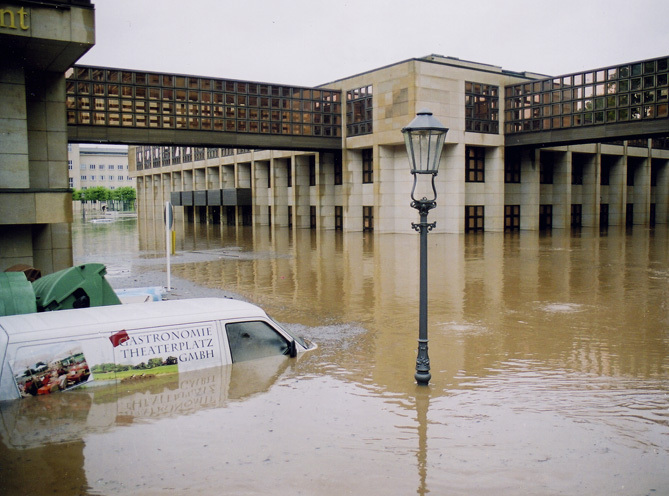 That summer of 2002 was to be remembered for the flooding which wreaked such havoc in Dresden and its immediate environs, and farther afield in Saxony and other German Länder, destroying crops and property and leaving deep scars in the life of the Saxon city and its people. 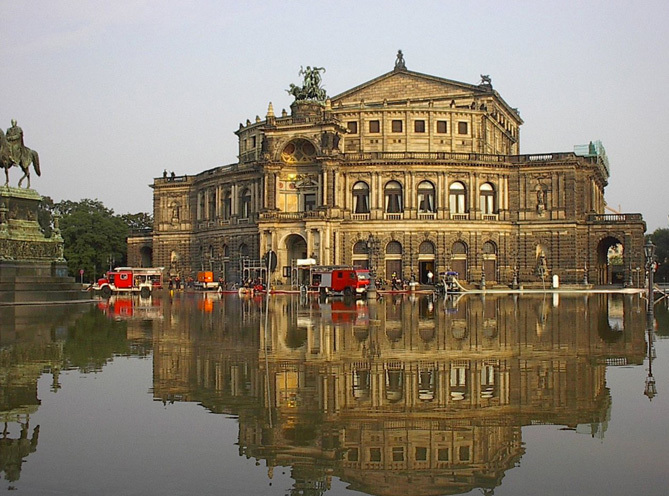 Extensive damage meant that the opera and the Staatskapelle lost their place of work, the Semperoper, overnight. 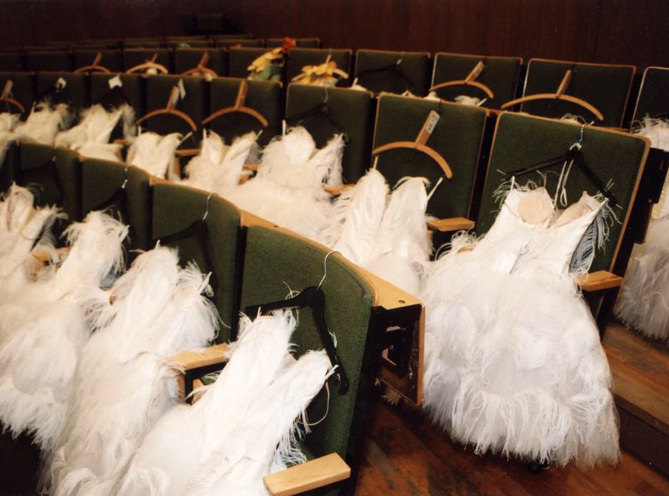 The orchestra, newly returned from the operas and concerts of the Salzburg Festival at the end of August, immediately gave benefit concerts to raise funds for the victims of the flooding and the restoration of ruined buildings in various cities – some of them directed by Bernard Haitink, who had already conducted in Salzburg – and joined with German TV station ZDF to give an open-air concert on Theaterplatz. 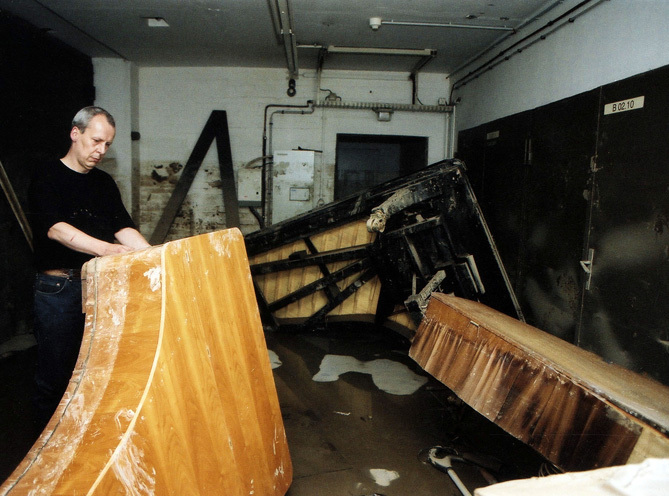 The Staatskapelle had to move into temporary concert locations unaffected by flood damage. One of these was the Kreuzkirche (even if the church authorities found it difficult because of the subject-matter to agree to a performance of Mendelssohn’s pagan Walpurgisnacht cantata in the chancel), another the Kulturpalast, in which they had held their concerts till 1992. 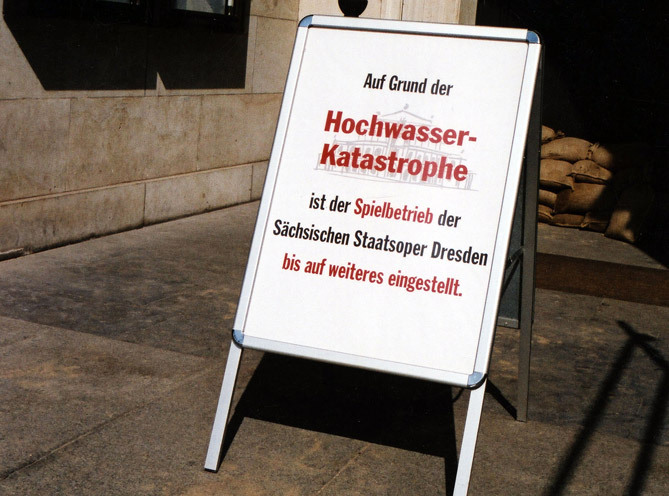 At the beginning of September, the Staatskapelle arranged a “Concert for Dresden” there – a gift to its citizens and symbol of thanks to all who had come to help. 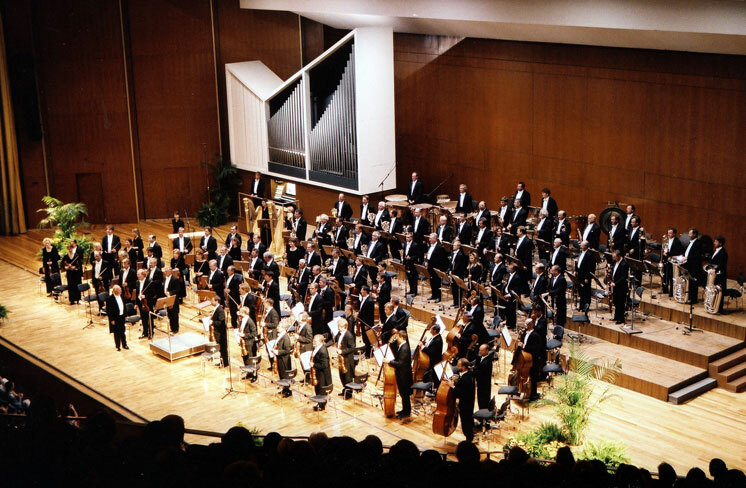 When Bernard Haitink conducted the Prague Symphony and the Alpine Symphony that evening, he proved himself “heart and soul” a Dresdener – as he did when at the end of the month, in the same hall, he opened the season’s second symphony concert with a work by Dresden’s guiding spirit, Weber’s Oberon overture. Konzertrdamaturg und persönlicher Referent von Bernard Haitunk i. R.
After the Oberon Overture came Beethoven’s Violin Concerto, skilfully interpreted by Frank Peter Zimmermann on his precious Lady Inchiquin Stradivari of 1711, which once belonged to Fritz Kreisler. Incomparable, blissful, grandiose – all that and more would be entirely appropriate to characterize Frank Peter Zimmermann’s reading of the Beethoven Violin Concerto, but it would fail to capture the essence of this musical event. Franz Wüllner, from 1877 to 1884 Royal Kapellmeister and Director of the Conservatory, was an ardent advocate of Brahms’s works, programming his Symphonies nos. 1 to 3 (the first performance of the First taking place on March 6, 1878, a year and a quarter after the premiere), the Tragic Overture, the Alto Rhapsody and Nänie. He was successful in 1882 in engaging the composer himself as soloist in his Second Piano Concerto. During this visit, Brahms was the guest of the Tonkünstler-Verein, the society which kept up the orchestra’s chamber-music tradition. He returned to Dresden in 1886, again played the Second Piano Concerto and conducted the first performance of his Fourth Symphony. The video clips are of some historical significance, because they show the old Concert Hall as it used to be. The “Palace of Culture” in Dresden was opened in 1969 and is considered by experts to be one of the most important buildings in the former GDR. 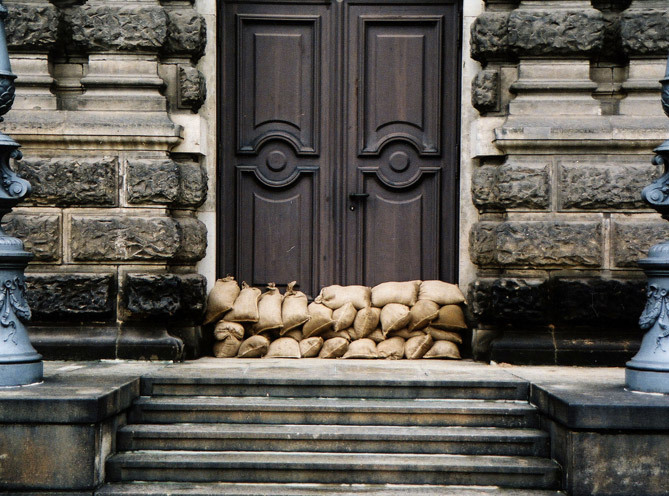 Since 2008 the Kulturpalast, which has retained its original facade, has been a protected building. With space for over 2400, it was long the largest multi-purpose hall in the east German state. After being remodelled with seating for 1800, it will be much less capacious. 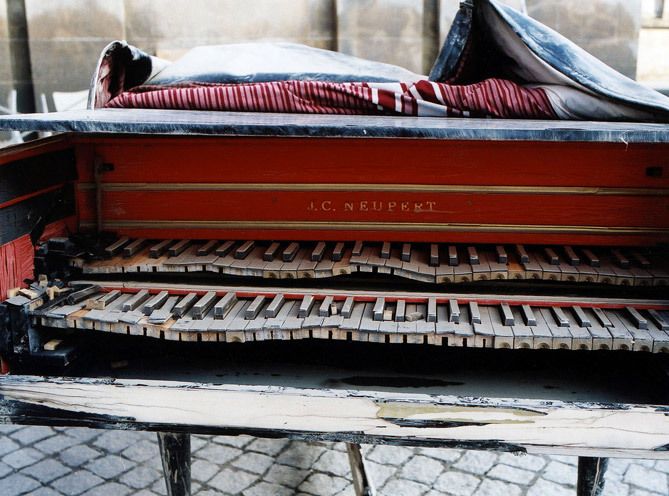 It will in future house the Dresden Philharmonic and the “Herkuleskeule” cabaret and the central city library.